Nondestructive Testing (NDT) is proving itself and industries that are seriously investing in it are realizing millions of dollars per year in cost saving and/or cost avoidance, especially by detecting corrosion before it's too late. However, the most important investment in NDT is in the human resources part of it. NDT is not only about equipment, but even more about the professionals operating the equipment and interpreting the results. Proper training and certification is paramount to this aspect. Each newly developed NDT technique leads to another more effective one that may be adapted for purpose and finally implemented effectively. Effective implementation is achieved only through proper up-to-date training and certification for even the most conventional NDT techniques. Otherwise, high potential NDT technologies are doomed for failure through misapplication and then eventual surplus without the realization of any cost saving, quality and safety benefits. Having stated the proven significance of NDT and its effective implementation, this paper proceeds to present some NDT technologies, from the most conventional to the more advanced, and their proper and appropriate application and resulting benefits. It will also provide direction on successful training and certification of NDT professionals to operate the associated sophisticated equipment. Advanced Nondestructive Testing Technologies are emerging faster than our local industries are realizing and appreciating. Industries need to participate more in their development and implementation to realize more of NDT's benefits. Competition is ever increasing and this obligates reducing production and operation costs. This is where NDT can figure in on a large scale. NDT can save and/or avoid production and operation costs in millions of dollars for our local industries. A general definition of nondestructive testing (NDT) is an examination, test, or evaluation performed on any type of test object without changing or altering that object in any way, in order to determine the absence or presence of conditions or discontinuities that may have an effect on the usefulness or serviceability of that object (1). The test object for NDT is industry equipment, from storage tanks to pressure vessels to heat exchangers and from pipes to valves, etc. And the splendor of it is that it's in-service inspection. Facilities may continue in operation while comprehensive NDT is done. There's no need to shut down the facility for most NDT, and there you have savings already from the start. An excellent example of this is the most passive non-intrusive testing of Acoustic Emission on storage tanks and pressure vessels. This recognized NDT method merely listens for corrosion activity through probes placed around the tank or vessel, without having to empty the storage tank and while the vessel is still charged and in service. The probes are sensitive enough to detect corrosion and the computers are advanced enough to process the location of the corrosion that has an effect on the serviceability of the tank or vessel. 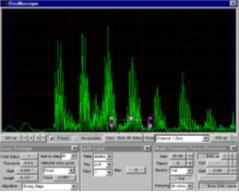 However, the sensitive probes and processing computers are only the beginning of this proven NDT method. It takes properly trained and qualified experts to interpret the readings to avoid "garbage in, garbage out" scenarios. Acoustic Emission is just one of the eight basic NDT methods in which technicians may be trained and certified as high as Level III. Training for certification is paramount, since without it the whole NDT system can only fail and the proven methods will not be appreciated in the way they can be. This is where the American Society for Nondestructive Testing has a significant role as not only a proving ground for the ever advancing NDT methods, but this society also develops and manages credible certification schemes for the NDT industry, starting with the most basic of all, Visual Testing. Visual Testing or VT was the first NDT method used but the last method to be formally acknowledged through training and certification programs. Direct visual testing is defined by ASME as using visual aids such as mirrors, telescopes, cameras, or other suitable instruments, when access allows the eye that does the visualizing to be within 25 inches (610 mm) of the surface to be examined, and at an angle not less than 30 degrees to the surface that is to be examined. Remote visual testing is done through borescopes, fiberscopes, and video technology. This goes to show how even in such an obvious method as visual testing, it is important to be properly trained and certified. The list of NDT methods goes on to include Penetrant Testing, Magnetic Particle Testing, Radiographic Testing, Ultrasonic Testing, Eddy current Testing, Thermal Infrared Testing, and finally Acoustic Emission Testing, the method first introduced as a good example of in-process testing and the most passive one at that. Each of these NDT methods comes along with multitudes of associated equipment, from the most basic tool of a magnifying glass for visual testing to highly advanced computer processors in sophisticated equipment for Acoustic Emission and Thermal Infrared Testing. The more sophisticated equipment requires its own specific training and certification to be operated credibly. If this requirement is not satisfied, it can render NDT ineffective. This would be a direct result of inappropriate or misapplication of the NDT equipment. Unfortunately, it is possible to buy and sell sophisticated NDT equipment without adequate technical support, be it qualified operators or maintenance. Thus, high potential NDT technologies are procured to be doomed for failure through misapplication and then eventual surplus without the realization of any cost saving, quality and safety benefits. This leads to the issue of NDT credibility, also a most critical aspect for effective NDT that may be abused. Credible NDT requires third party unhindered expert application. Conventional NDT needs to be monitored closely by the client and advanced NDT should be procured from prequalified third party service providers. Monitoring and prequalification should concentrate on operator qualifications as well as the application of the NDT service being provided. The concerned client can only do this, as NDT certification and application are not normally regulated by any outside authority. ASNT does not do this as a support society, but it does provide comprehensive NDT certification and application programs for the industry to use effectively to realize cost saving and safety benefits. The transient nature of the work force that performs NDT in our region further complicates this credibility issue. Many of the NDT technicians are recruited on a contract basis and some are intimidated into NDT interpretations that suit their clients, be they their employers or their employer's clients. It is as simple as not calling a detected defect so that they may remain employed by not making their clients do costly repairs, thus turning a science into art. This is how NDT's credibility is challenged time and again, casting the element of doubt on the effectiveness of NDT, when defects are eventually realized after NDT did not supposedly detect them as it should have. On stream Inspection (OSI), Plant & Equipment Integrity, Fitness for Service (FFS) and Risk Based Inspection (RBI) programs are based on nondestructive testing. Most of the input data for these programs comes from NDT, from the most basic to the most advanced methods. In equipment integrity programs, corrosion loops are established that rely on NDT input. A Fitness for Service study on a storage tank is entirely an NDT method unto itself, which is the Accoustic Emission that has been mentioned. Having introduced the significance of NDT and its effective application, here are some proven NDT technologies, from the most conventional to the more advanced, their required training requirements and proper application and resulting benefits. Radiography Testing (RT) is widely used for both welding examinations during construction and corrosion/erosion detection after facilities are placed in service. This method utilizes a radiation-emitting device, e.g., x-ray or iridium, and industrial film as a recording medium to produce a latent image of the piece being radiographed. Sensitivity in the range of 1% of the material thickness is easily achievable with the latest films available. Issues of Radiation Safety, Operator Training and Radiographic Film Interpretation (RTFI) are all areas that add to the complexity of this NDT method, but when the individuals are trained properly, this tool can be a very cost effective and safe way to inspect material. Initial training requirements for this method start at a minimum of 80 hours of technical training and require a minimum of 1200 hours of recorded hands-on experience in NDT (600 of which must be directly related to radiography). A series of general, specific and practical examinations and documented proof of the minimum requirements are all part of the certification process to become a Level II Radiographic technician. Typical results of the radiographic process are shown in Figure 1. Ultrasonic Testing (UT) is probably the most widely used type of conventional NDT today. Ultrasonic testing is performed to take simple thickness readings of material for on-stream inspection, perform more sophisticated weld examinations for inherent flaws in the welds and performed in both semi-automatic and automatic modes to map corrosion of piping and pressure vessels. Figure 2 is a typical ultrasonic A-Scan. Newer automated and semi-automated devices to handle the high temperature systems in refineries are being produced now to allow on-stream examination of material that is up to 700 degrees C in temperature without having to shut down the process. The requirements for training and experience are very similar to that of RT, but the 600 hours of actual UT experience are required instead of the RT experience. The two NDT methods just covered are considered volumetric examinations as they investigate the areas inside the material. There are common types of conventional NDT methods that deal strictly with surface or very near surface defect detection, as follows. Magnetic Particle (MT) is an electromagnetic examination that is used to locate and estimate the size of defects that are either open to the surface, such as cracks, and delaminations or very near subsurface defects such as gas holes and inclusions. This test uses an AC, DC or permanent magnet to introduce lines of magnetic flux into the material and small visible or fluorescent metal particles that are dusted on the surface. Any disturbance in the lines of flux will cause the metal particles to collect in the area of disturbance and produce an outline of the defect causing the flux line disturbance. Liquid Penetrant Testing (PT) is one of the oldest conventional NDT methods used today. It was first used as an oil and powder type examination to test railroad car wheels for cracking. The wheels were soaked in light oil (kerosene) and then lightly dusted with powder. The powder would pull out the oil that had seeped into the cracks in the wheels to reveal the location and size of the flaws. Today's liquid penetrant material is much more sophisticated than the old oil and powder method, but still works on the same principals. Highly viscous penetrants (mostly colored to clash with the developer that is applied at the end) are sprayed on the part and allowed to dwell for a specified period. Excess is removed and a developer is applied to draw out the trapped penetrants and reveal the defects locations and size. This method can be used on any nonporous material such as metals, plastics, concrete, etc. Visual Testing (VT), the most frequently used and most overlooked conventional NDT method, can be very simple and very complex. Simply looking at a part and identifying areas of concern is the simple part. Remote visual inspection using borescopes, fiberscopes and even robotic video devices is the far more complex part and requires significantly more training and expertise. Both types of visual inspection can be used on virtually any material where access is possible. Electromagnetic Testing (ET) is one of the oldest forms of NDT, but it was not until recently that this testing method was made readily acceptable with the development of associated user-friendly instruments. Eddy current theory is based on the fundamentals of electricity and magnetism and the inductive properties of alternating current. This NDT method is used commonly in tube testing of non-magnetic materials, production testing of tubing and pipe and it is quite easily used as a tool for material sorting. Training is required and significant field experience is mandatory to enable the technicians to become proficient in the analysis of the ET data. Minimum technical training of 80 hours and 1200 hours of required experience are essential for the proper operations and interpretation of this NDT method. Acoustic Emission (AE) testing is another NDT method that has recently taken on its important role as a routine inspection method that is being used more frequently in industries around the world. AE is based on elastic energy that is spontaneously released by material when it undergoes deformation. The first evidence of acoustic emission in metals was the detection of "tin cry", a phenomenon of pure tin during plastic deformation. This NDT test method has progressed to being used widely in the examination of storage tanks for tank floor corrosion, pressure vessel examinations for detection of cracking and corrosion and in pipelines under hydrotest to detect weak areas and leaks. AE is capable of detecting very small areas of corrosion when properly applied. Significant training and experience are required for technicians to perform this test effectively. 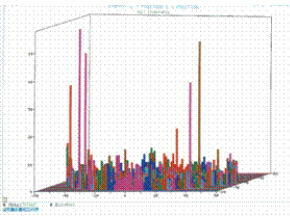 Figure 3 is Acoustic Emission Data from a Storage Tank Floor. 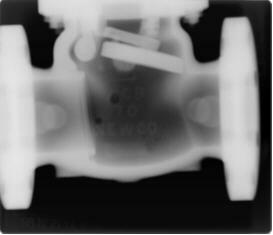 Thermal/Infrared (IR) testing came about in NDT in the early 1960's after considerable testing by the military. Based on the emittence of energy from any material, the infrared radiometer is capable of detecting skin temperature differences in a very small range. Infrared Thermography has become very applicable in many ways due to today's advancements in microprocessor equipment. However, analysis of the IR data is far more complex. Requirements for technical training are currently at a minimum of 80 hours, but 900 hours of practical field experience is required to obtain a level II certification as an IR Thermographer. As mentioned previously, advancements in NDT technology is growing in leaps and bounds. The remainder of this paper will discuss some of the more notable advancements, most of which are a derivative of the conventional methods we have just discussed. There is much advancement in NDT, which has proven to be very cost effective and easy to use. However, some of the newer NDT methods are very complex and difficult to use, but produce results that make the complexity of the test worth the time and effort. When one considers the huge sums of money spent each year in shut-downs, cleaning and inspection of plant piping and equipment and the negative environmental impact from waste produced during these cleaning and inspection exercises, research efforts should be focused on developing more advanced NDT methods that can lessen if not eliminate these costly and negative environmental impacts. Many times the results of the costly internal inspections show the effort could have been avoided if viable non-intrusive NDT methods were proven and available. Electro-magnetic Acoustic Transducers (EMATs) are a revolutionary method of introducing ultrasound into a part without the normally required liquid couplant. This non-contact method of ultrasonic inspection provides for high-speed examination of piping and pressure vessels. This method of NDT introduces the ultrasound via electro-magnetic coupling, making it very suitable for use at higher temperatures than conventional UT. This also eliminates the need to shut down the component for inspection. With plant or refinery processes running in upwards of 1200 º F temperatures, conventional UT becomes obsolete and EMAT has proven to be a very valuable method to examine in-process piping and pressure vessels to assure safe operation of the components. Technical training in this NDT method is required in excess of the normal electro-magnetic training previously discussed and governing standards have yet to stipulate regulations for the training and experience requirements. However, many industry standards are reviewing it at this time. Guided Wave Ultrasonic testing is fast becoming the choice of many industries. This NDT method's ability to examine long distances in a single setup (approximately 30 meters in both directions from the transducer ring) on both insulated/coated and buried pipelines makes it very cost effective and it provides an enormous amount of information for condition assessment. The equipment introduces bulk UT waves at somewhat lower frequencies (10 to 25 KHz) than that of conventional UT or EMAT technology and provides a means of detection of anomalies at great distances from the source of the propagating waves. Although a quantitative exam, it has become very useful as a screening tool to identify areas of concern for follow-up examinations with other more exacting and time consuming tools. This NDT method will eliminate costly unburying of lines that were not required and provide substantial costs savings by decreasing the number of digs. Further development is needed to refine this process to allow increased sensitivity and overcome the current problems faced with tape-wrap and heavy coating. These tend to deaden the sound significantly and greatly reduce the length of piping that can be examined at one time. Interpretation of the results from the Guided Wave UT tests is similar to that of conventional UT, but it does require additional training and experience to fully understand and benefit from the results. 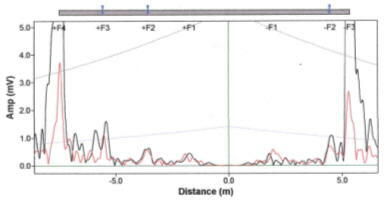 Figure 4 is a graph of Guided Wave Signals. High-energy radiography (2-10 MEV) has been around for quite some time but it just recently made its way to the portability from which especially the geographically widespread oil and gas industries can well benefit. Conventional radiography has thickness limitations of approximately 3 inches of steel or equivalent, unless Cobalt 60 is used which provides very grainy and hard to interpret images. The introduction of portable "Linear Accelerators" has made possible the field radiography of material with thickness of up to 14 inches of steel and with current high output options available on some newer instruments, 20 inches of steel is no problem for the portable accelerators to handle. Given the equivalency factor for oil as compared to steel, the portable linear accelerator can easily be adapted for corrosion surveys of 48-inch diameter oil filled pipelines, examination of small oil filled vessels and huge valves. This is just a few of the many number of situations for which the Linear Accelerator could provide valuable information for plant reliability and safe operations. The above mentions only a few of the new advanced NDT methods that are being used in industies today. Many others such as, Thermal Wave Imaging, high speed tube testing with Guided Waves, filmless radiography using phosphor imaging plate and others are being introduced almost daily and beneficially implemented by companies to extend their operations and eliminate downtime of process equipment. NDT can save and/or avoid costs in millions of dollars for facilities that use its methods. There are proven NDT technologies to do this, from conventional to more advanced ones that are essentially based on the conventional ones. Their required training requirements and proper application are paramount for realizing ever-increasing benefits.